I’ll have a small Christmas, thanks. Thank you, New Yorker magazine! The word came down from on high this year: just one small gift is expected for our granddaughter. And keep away from anything pink and plastic. (“On high” is the main house where our little darling resides, and her mother gave us the word). Speaking as a grandparent, it’s easy and fun for us to stroll the aisles at the toy store, picking out expensive and adorable toys to give DGD. And it’s wonderful to watch her little face light up as she rips off the wrapping. We’ve seen it many times. Scenes around the Christmas tree where the parents (or more usually, the grandparents) have bought out the store, wrapped them up and given a mountain of gifts to children barely able to say their address. The tykes are overwhelmed with the amount of toys. They don’t know which they want to play with first, and which will be discarded or broken within a month. You may be giving objects, but you are teaching them all the wrong lessons. 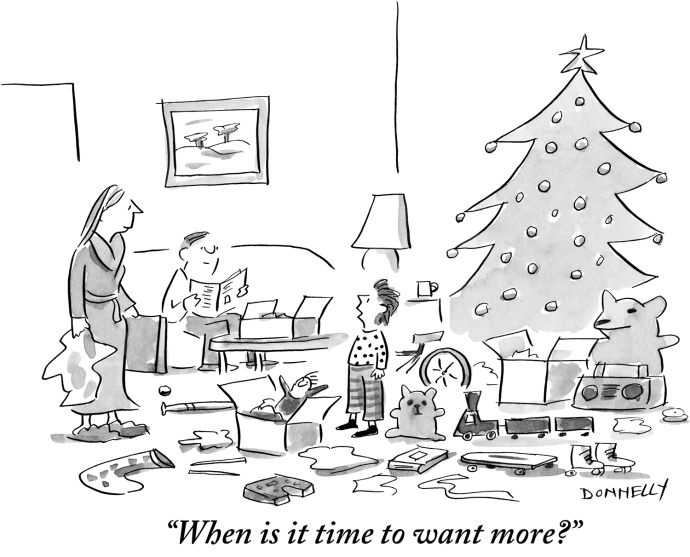 It’s hard to find data on the effect of too many Christmas presents on the young mind. Not a lot of parents want to sign up for lab tests to determine that they are, indeed, ruining their children’s lives. All we can do is look back on the presents we received when we were children. We recall those goofy traditions, like everyone sitting around the tree in their pyjamas (no opening presents until Mom and Dad have their coffees in their hands) or taking a walk around the neighbourhood while the turkey roasts. Build your own traditions. Make your own memories. The nicest things we get at Christmas don’t come from stores. 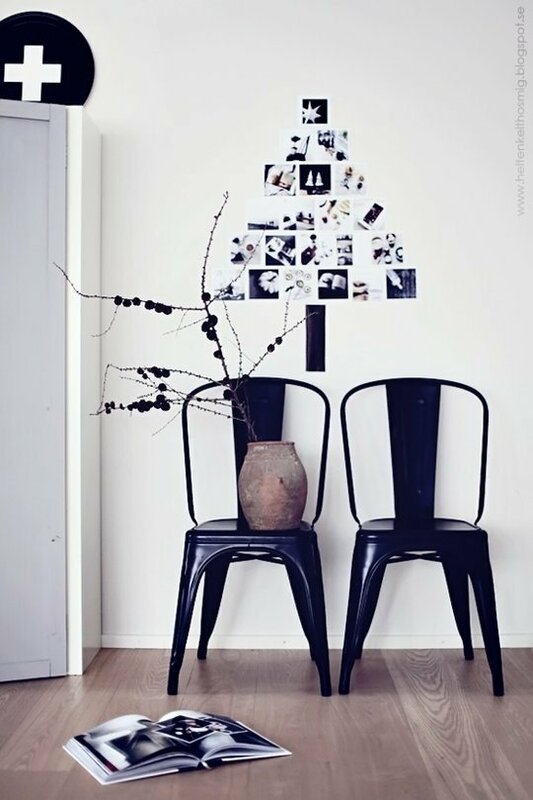 Posted in Laneway House, Minimalism and tagged Christmas, Laneway House, Minimalism. Bookmark the permalink. 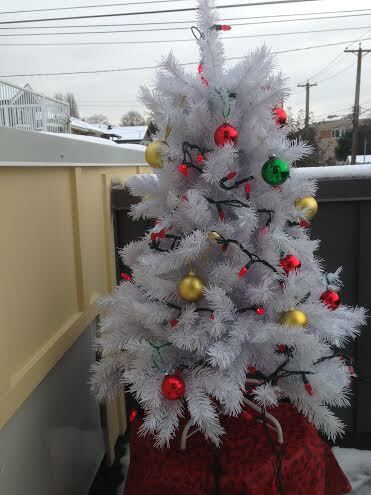 I wrote about our first Christmas in the laneway house just one year ago. 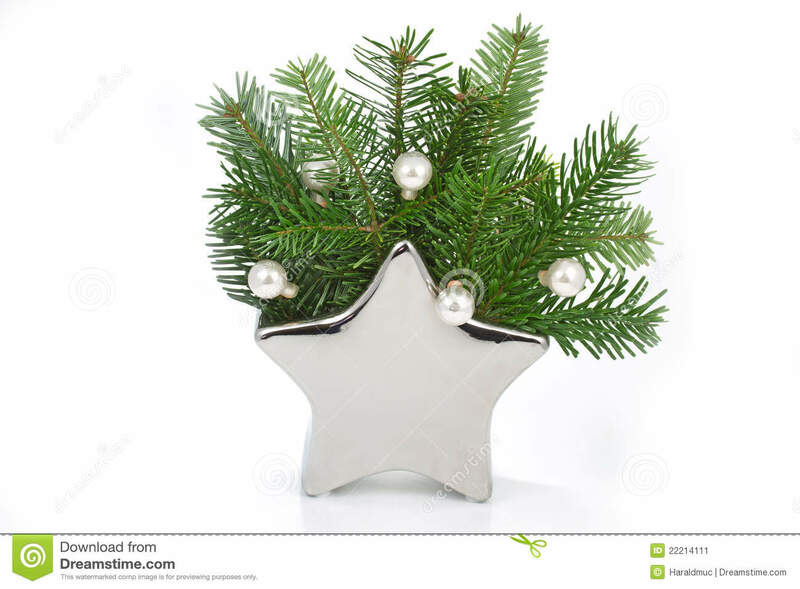 Now I’ve had a whole year to think about decorating our little space and I’ve found lots of ideas on what to do when you JUST DON’T HAVE ROOM for a traditional Christmas trees. I started with the ideas I found last year, and searched the internet (with a little help from Apartment Therapy and Houzz). 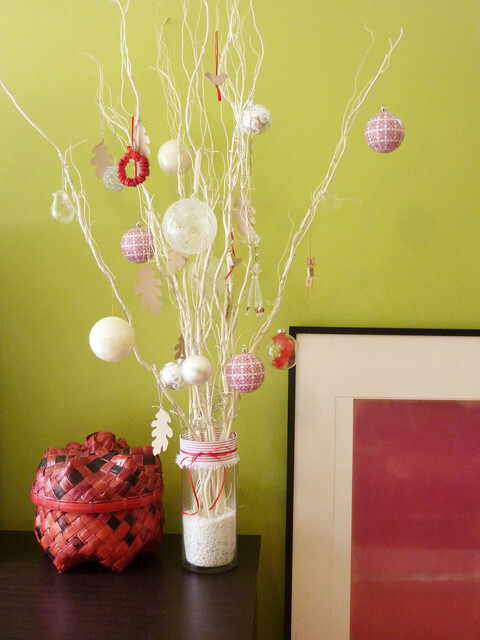 Or you can use just pretty sticks and put some ornaments on them. But these ideas need a little corner of a table or floor to display them. And if you don’t have that little space to spare I can certainly feel your pain. 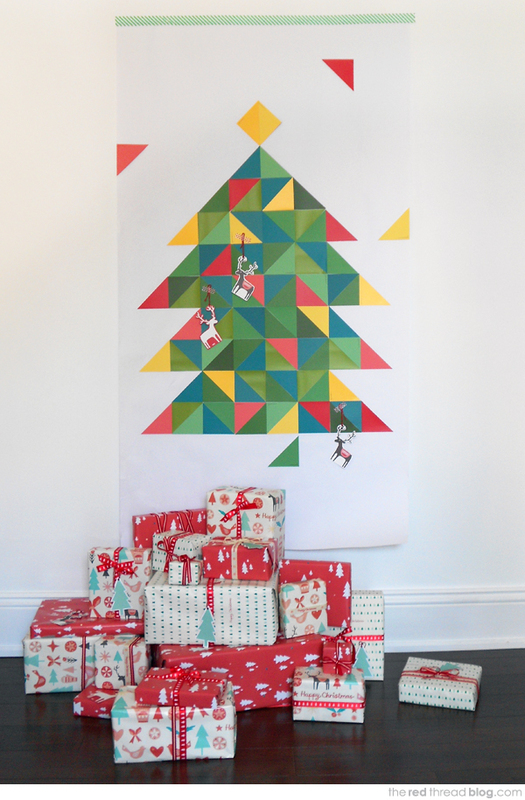 Take a look at your walls — you can finesse a Christmas tree by using some of that vertical space. (Maybe take down some of your current artwork for a real change). 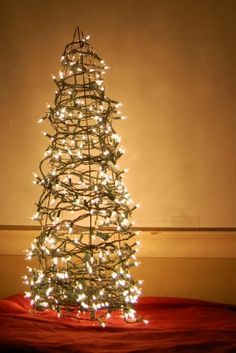 Here’s a do-it-yourself tree that can look as zippy and modern or as sweet and old fashioned as you like, depending on what papers you choose. 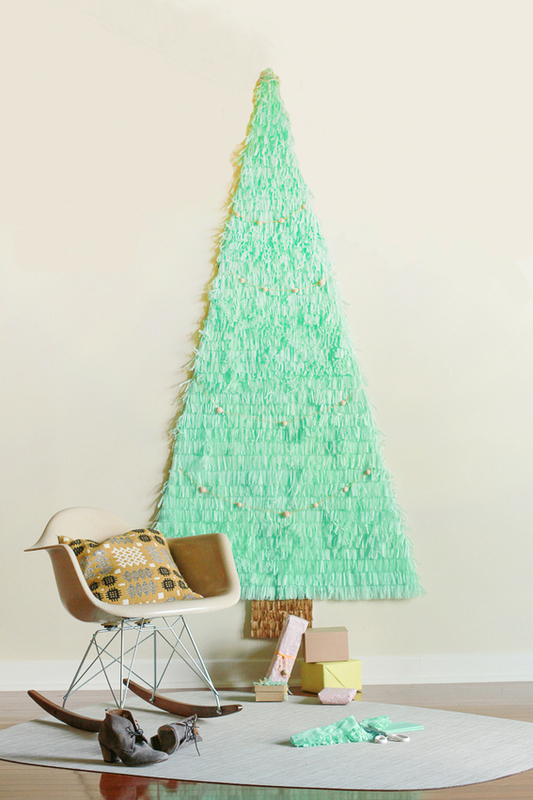 This one is made of paint chips — but you could use regular coloured paper or even Christmas wrap. 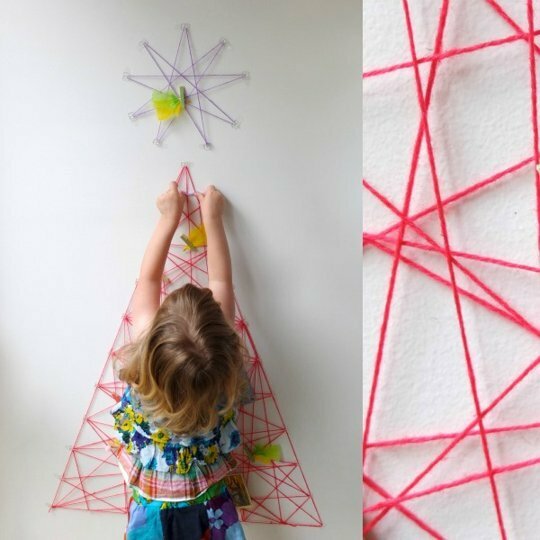 You can also make this cute and modern string tree with the kids. 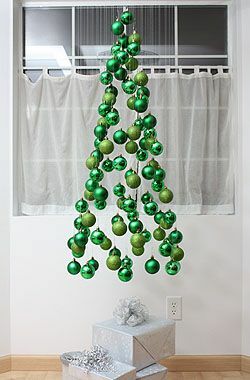 Hang ornaments or Christmas cards (or a combination of both). It’s put up with Command transparent hooks so no damage to your wall. 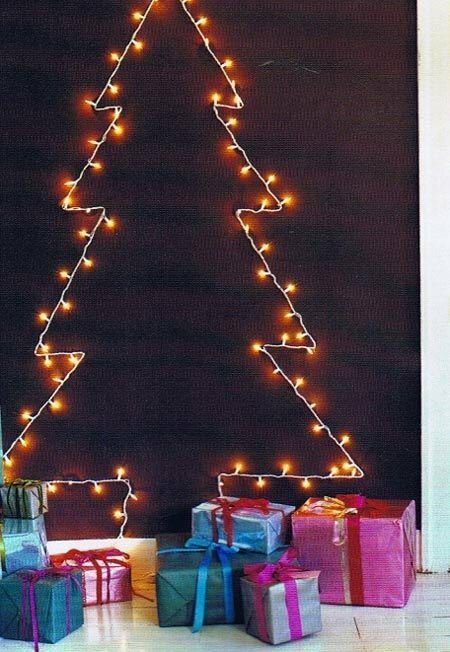 In fact there’s no end to the ideas on how you can put a tree directly on a wall. 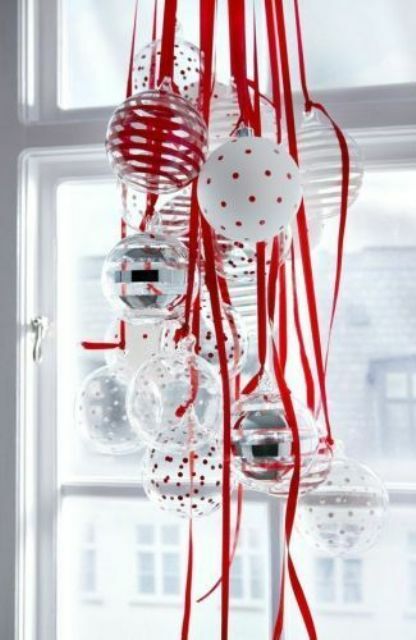 How about putting some decorations in your windows. 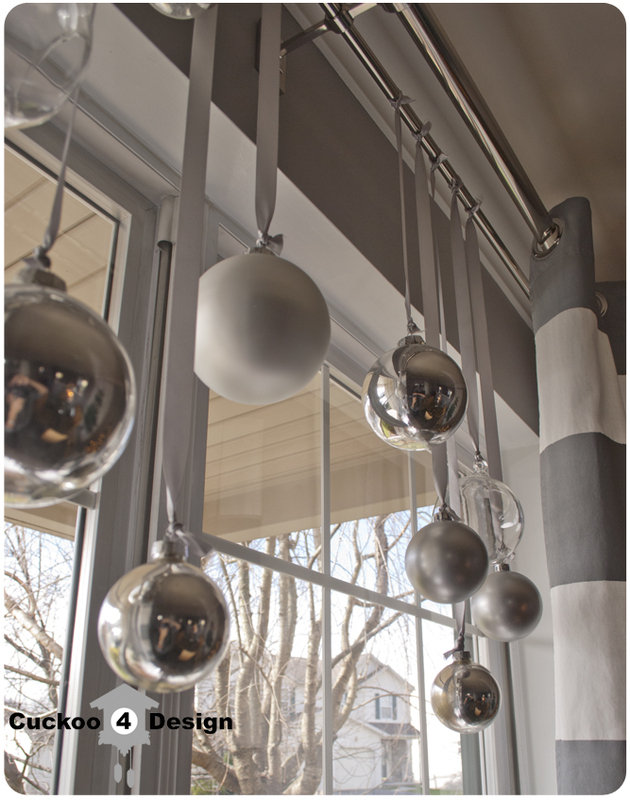 Use the existing curtain rod, or put a spring loaded rod within the window area. Still can’t find the room? Look up! 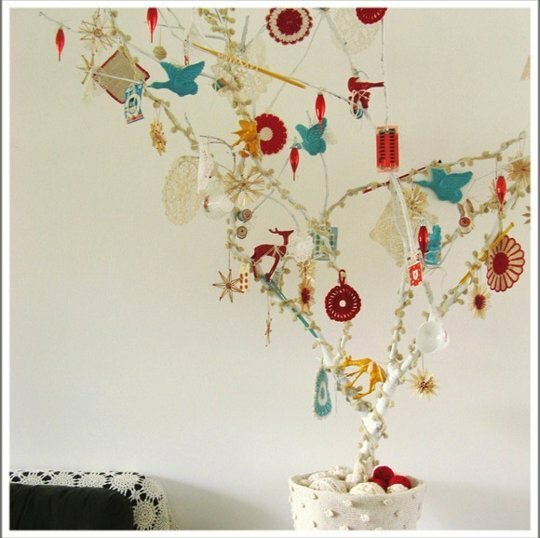 Here are the instructions to put together this striking mobile — put it over your table for a lovely centrepiece that won’t take up any table space or block the person on the other side. It sits just outside our sitting area window so we can enjoy it from the comfort of our couch without it crowding us at all. 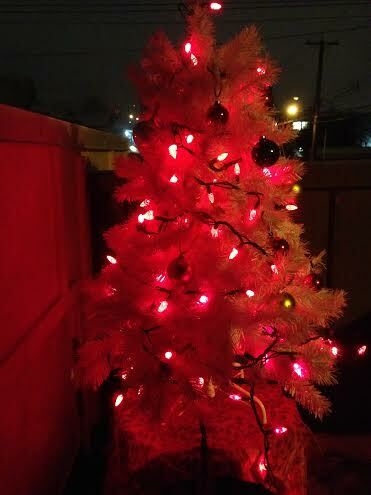 I’m thinking about painting the lights cord white to hide it better. A couple of these on your balcony would really make a show! Posted in Decorating, Laneway House and tagged Christmas decor, Laneway House, Small House. Bookmark the permalink.